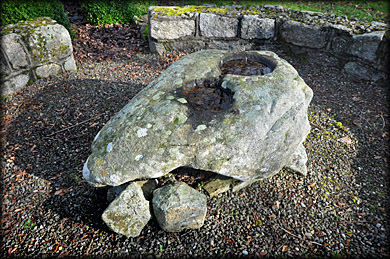 This huge irregular shaped bullaun stone is situated inside a small enclosure at Ardattin Village. 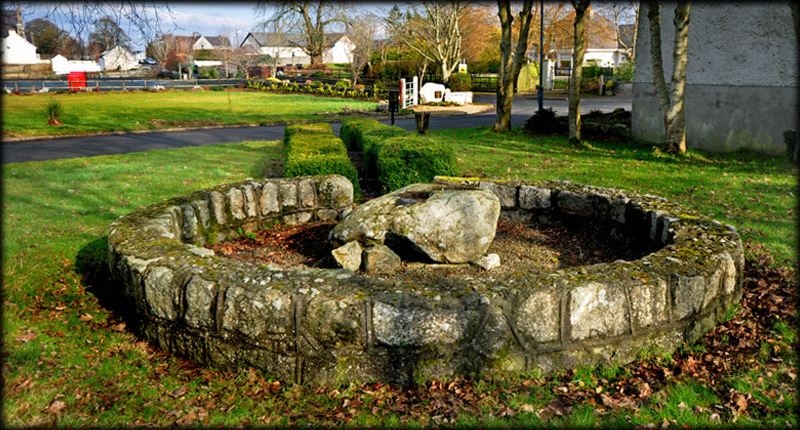 It is believed the bullaun stone was moved to this location from the nearby famine site at Ballinastraw. The stone stands approximately 1 metre high and is about 1 metre in length. Surprisingly the stone is also about a metre wide. It is now propped up on smaller stones, but I imagine it may have been an earth fast boulder before being moved. 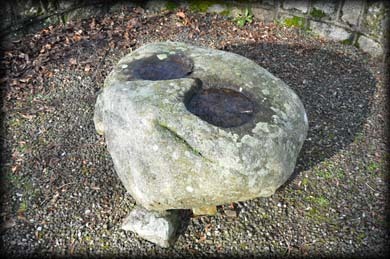 In the top of the boulder are two large bullauns the largest of which is 40 cms in diameter. Nearby is the standing stone at Craans. Situated: From Tullow head south on the N81 for about 5.6 kilometres. Then turn left for Ardattin. In the village turn left for Tullow and then first left onto Beechwood Drive. Discovery Map 61: S 8731 6784. Last visit Feb 2015.